Beer manufacturing is a booming industry in North Carolina. The annual economic impact of North Carolina-produced craft beer is estimated at $791 million, which supports more than 10,000 jobs in the state, according to the NC Craft Brewers Guild. Sierra Nevada and New Belgium breweries account for approximately 480 of those jobs. Sierra Nevada, located in Mills River, opened its doors on a staggered basis. It began by providing hard hat tours in August 2014, gift shop tours in September 2014, brewhouse tours in October 2014, and recently opened its taproom in March 2015. The company has hired approximately 360 fulltime employees to date. 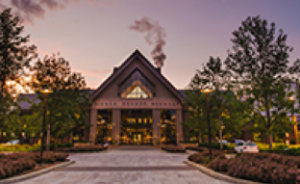 Sierra Nevada Brewing Company is located in Mills River in Henderson County. Sierra Nevada officials have been happy with the location and community support. 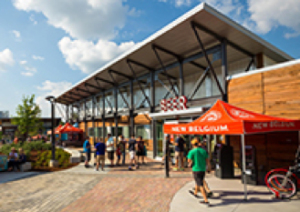 In neighboring Buncombe County, New Belgium Brewing Company recently opened its doors in May 2016 and is already making a valuable impact in Asheville. New Belgium Brewing Company is located in Asheville in Buncombe County. New Belgium expects to have 150 employees once it reaches its full build out. Golden LEAF awarded two grants for public road infrastructure to support these projects. Henderson County received a grant of $112,600 for road improvements needed for the Sierra Nevada location and the City of Asheville received a grant of $300,000 to improve public roadways that serve New Belgium Brewing Company.